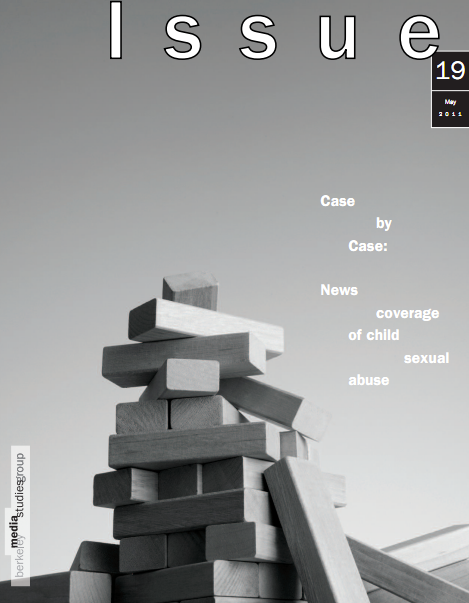 Case by Case: News coverage of child sexual abuse released by the Berkeley Media Studies Group with support from the Ms. Foundation for Women, demonstrates that child sexual abuse is underreported and that media coverage does not describe the social context of child sexual abuse. The report includes recommendations for journalists on ways to improve coverage of child sexual abuse as well as recommendations for advocates to help push for policies that will institute prevention. On August 29, 2011, join other PreventConnect prevention practitioners throughout the country in the August PreventConnect Reading Club to examine “Case by Case: News coverage of child sexual abuse” published by the Berkeley Studies Media Group. PreventConnect Reading Clubs are small, one hour sessions where public health practitioners and researchers can discuss research and practice. This sixty minute (60 min) session will start at 11.00 a.m. Pacific Standard Time (2 p.m. Eastern Standard Time). Registration is limited to 30 people per session. To register, click here and select PreventConnect Reading Club August 2011.